For You are the supreme Master, You have distanced troubles from us. In humiliation and in shame, they fell before our feet. To our supplications lend an ear and rescue us. Until his old age may he continue to act as leader and judge among us. Protect and shield the Vice President, Senators and Representatives of the United States. And from the hands of foreigners, protect us. May our livestock work hard; may they encounter no difficulties and may none be stolen from our streets.This line is taken from Psalms 144:14 “אַלּוּפֵ֗ינוּ מְֽסֻבָּ֫לִ֥ים אֵֽין־פֶּ֭רֶץ וְאֵ֣ין יֹוצֵ֑את וְאֵ֥ין צְ֝וָחָ֗ה בִּרְחֹבֹתֵֽינוּ׃” — May our oxen be heavy laden, so there should be no breach or migration! May there be no loud cry in our in our streets! The above prayer for the government, quite possibly the first prayer composed for the nascent government of the United States of America,An earlier prayer for the welfare of the 13 States, Governor of New York DeWitt Clinton, and General George Washington was read after the revolutionary war ended at K.K. Shearith Israel in 1784. was written by Congregation Beth Shalome. Jews were already doing business in the Virginia Territory as early as 1650. By the 1760s they began to settle in Richmond and by 1790 Jewish residents numbered 100 citizens out of the 3700 citizens in the city. In 1789 a group of Jews established Kahal Kadosh Beth Shalome (The Holy Congregation, House of Peace), a Sepharadi congregation. It became the first congregation in Richmond and the sixth and westernmost Jewish congregation in the United States.in Richmond, Virginia in 1789. The original copy of this prayer is currently on display at the Museum of American Jewish History, Philadelphia, Pennsylvania. (Much thanks to the museum for sharing a digital copy of the prayer for our transcription.) Please note the acrostic portion of the prayer in which the initial letters of the succeeding lines form the name: Washington. Please visit Abe Katz’s excellent site, Beurei haTefila Institute, where he provides PDF sourcesheets of so many of his studies in tefillah. 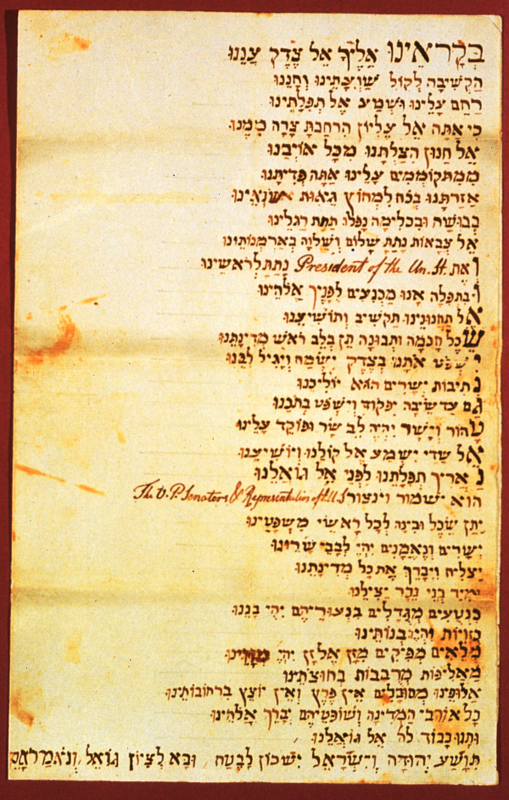 Abe Katz’s translation of this prayer was first included in his sourcesheet, “Prayers for George Washington and Abraham Lincoln.” I have digitally transcribed the text in Unicode Hebrew, proofread his translation, and corrected a few errors that appeared in his sourcesheet [–Aharon Varady]. 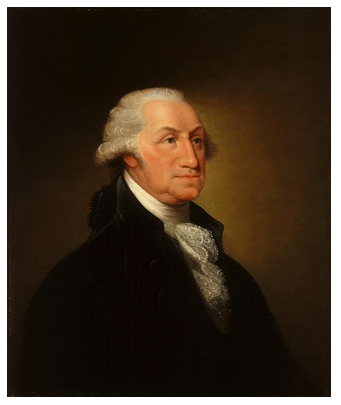 Prayer for the United States government and George Washington by K.K. Beth Shalome, Richmond, Virginia (1789) ("1979.10.1 b , The Richmond Prayer" Courtesy of The National Museum of Jewish History). Image provided has been gamma corrected for heightened contrast. 5. This line is taken from Psalms 144:14 “אַלּוּפֵ֗ינוּ מְֽסֻבָּ֫לִ֥ים אֵֽין־פֶּ֭רֶץ וְאֵ֣ין יֹוצֵ֑את וְאֵ֥ין צְ֝וָחָ֗ה בִּרְחֹבֹתֵֽינוּ׃” — May our oxen be heavy laden, so there should be no breach or migration! May there be no loud cry in our in our streets! 7. An earlier prayer for the welfare of the 13 States, Governor of New York DeWitt Clinton, and General George Washington was read after the revolutionary war ended at K.K. Shearith Israel in 1784. 8. Jews were already doing business in the Virginia Territory as early as 1650. By the 1760s they began to settle in Richmond and by 1790 Jewish residents numbered 100 citizens out of the 3700 citizens in the city. In 1789 a group of Jews established Kahal Kadosh Beth Shalome (The Holy Congregation, House of Peace), a Sepharadi congregation. It became the first congregation in Richmond and the sixth and westernmost Jewish congregation in the United States. “Prayer for the Government in honor of George Washington, First President of the United States of America by K.K. Beit Shalome (1789)” is shared by Aharon N. Varady (transcription) with a Creative Commons Attribution-ShareAlike 4.0 International copyleft license. 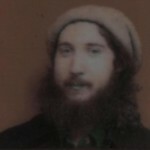 Abe Katz is the director of the Burei HaTefila Institute. The Beurei Hatefila Institute was established in order to encourage the study of the words of the Siddur as a Jewish text in Jewish schools. To assist educators developing courses on Tefila, the Institute publishes a weekly e-mail newsletter in which it traces the sources for the words and structure of the prayers within the Siddur. These and other resources can be downloaded on PDF from the Burei HaTefila Institute website. Mr. Katz is also available to teach courses on Tefila at your synagogue or Jewish Community Center and as a scholar-in-residence. He is available to meet with school administrators to assist them in establishing a course in Beurei Hatefila at their schools and to train teachers on using Hebrew-English word processing and Judaic libraries on CD-ROM. Please reciprocate for any adaptation or redistribution of this work by (1) properly attributing the work to Aharon N. Varady (transcription), Abe Katz (translation) and Kahal Kadosh Beit Shalome, (2) clearly indicating the date you accessed the resource and whether any changes have been made (and if so, please be in touch with us and leave a comment below so that we might note your adaptation or improvement), (3) providing a link back to this source, and (4) specifying the Creative Commons Attribution-ShareAlike (CC BY-SA) 4.0 International copyleft license under which this work was shared. 2016-07-04 at 2:09 pm · Reply.